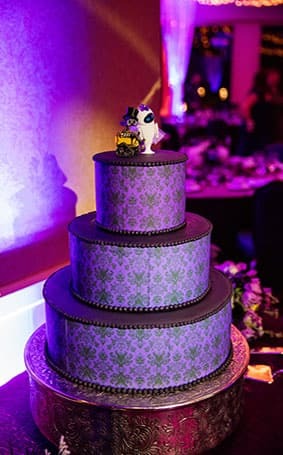 As Halloween approaches, I wanted to share this extra special Disneyland wedding cake inspired by none other than The Haunted Mansion. 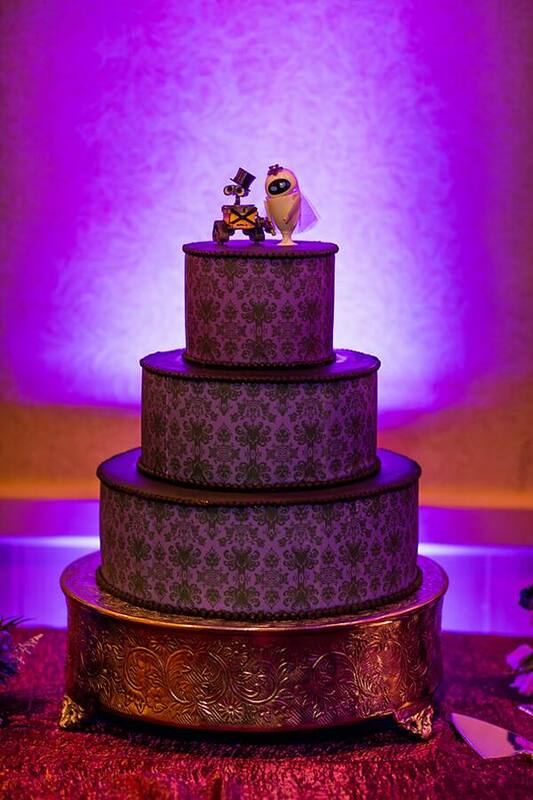 The groom actually proposed at this very attraction, so it seemed only fitting the couple incorporate it into their big day! 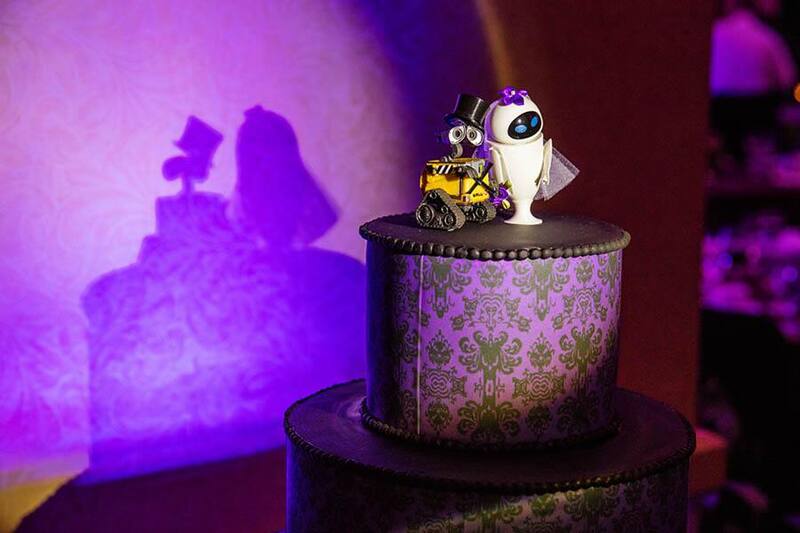 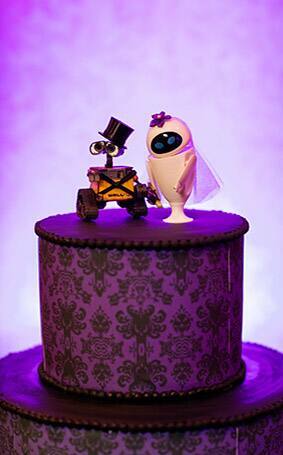 The iconic wallpaper covers all three purple and black tiers, and worlds collide on the very top where a dapper Wall-E and Eve stand proudly holding hands.